Bartec USA, a North American provider of TPMS diagnostic tools and solutions, has announced the release of its latest TPMS tool software update. “Software update 58 will revolutionize TPMS service,” said Bartec CEO Scot Holloway. Software update 58 is now available for download for Bartec TPMS tools. In order to download and install this update, users need to make sure they are a current subscriber at tools.bartecusa.com. The company says this newest version of the software is packed with features and coverages that only Bartec TPMS Tools can offer. The available features depend on the Bartec tool model and are clearly defined in the software release bulletins found by clicking the Tech Support icon found in Bartec’s TPMS Desktop. 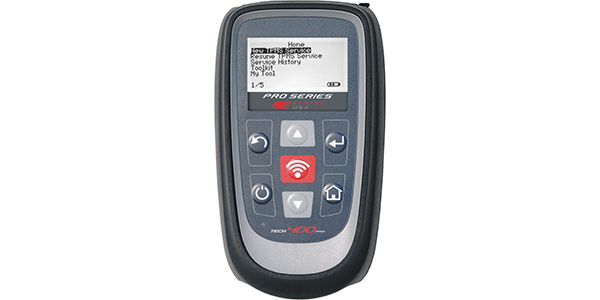 Most notable is VINdicate, Bartec’s exclusive new way to select the vehicle and retrieve TPMS fault codes in one step. The VIN is detected and decoded, and with the make-model-year selected, the DTCs also are detected and decoded. Now, the technician has the basis for understanding what services are necessary, making quoting and selling TPMS much easier. “Of course, all of this information is stored as collected, and is easily retrieved and displayed on informative inspection reports. Bartec’s goal is to make the TPMS diagnostic and service process so fast to complete and easy to explain that our customers will sell more TPMS parts and service,” said Michael Rose, product manager at Bartec USA. Also in update 58 is additional placard coverage for the Tech400 Pro. Bartec tools use a secure method for adjusting the placard to prevent making the TPMS inoperative. Bartec understands the level of security and safety required when connecting to vehicle control modules, and as a result the company built in processes that help technicians be successful while keeping their customers safe and protected. For a complete rundown of all that update 58 offers, download the release notes here. 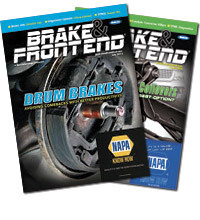 Bartec says it will post updated coverage charts on its website, at bartecusa.com/tpms-tool-coverage-charts.html.